Germany withdraws Xavier Nadoo as its contender for Eurovision following criticism over his use of anti-Semitic and homophobic slurs. Germany has withdrawn its contender for next year's Eurovision song contest following criticism over his use of anti-Semitic and homophobic slurs in his songs, Reuters reports. Xavier Naidoo was selected as Germany's candidate by public broadcaster ARD on Thursday, but the uproar in newspapers and social media prompted a swift change of heart, the news agency said. "Xavier Naidoo is a wonderful singer who isn't racist or homophobic in my view," ARD executive Thomas Schreiber said in a statement. "It was clear that he is someone who polarizes but the ferocity of the reactions surprised us. We misjudged." 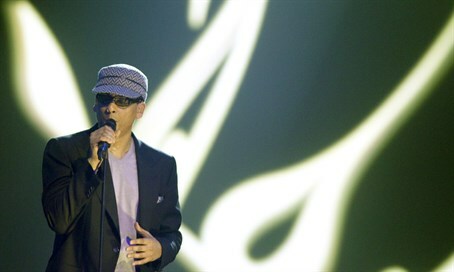 Naidoo came under fire in 2012 for his song "Wo sing" (Where Are) whose lyrics suggested homosexuals are pedophiles. In 2008, amid the global financial crisis, Naidoo released a song describing the German-Jewish Rothschild banking family as "Baron Deadschild" and used the derogatory Yiddish word "schmock." Last year, he appeared at a rally of the Reichsbuerger group, whose members advocate for the establishment of a Fourth Reich based upon the 1937 borders, which include parts of Poland and several former Soviet states. His nomination for Eurovision raised eyebrows in Germany, with the country’s top-selling newspaper Bild questioning the selection on its front page last Friday. Reacting to the decision to withdraw his nomination, Naidoo said on Facebook it was "okay for me" and stressed that ARD had urged him to compete in the first place. Earlier in the week he rejected criticism of his nomination, saying he represented a Germany that was "open to the world" and tolerant of different religions and lifestyles. Germany, which came last in this year's competition with zero points, will name a new contender as soon as possible, Schreiber from the ARD broadcaster said, according to Reuters. Israel, whose government broadcaster the Israel Broadcasting Authority (IBA) is a member of the European Broadcasting Union (EBU), has been participating in the Eurovision since 1973. It has won first place in the contest three times - in 1978, 1979 and 1998.